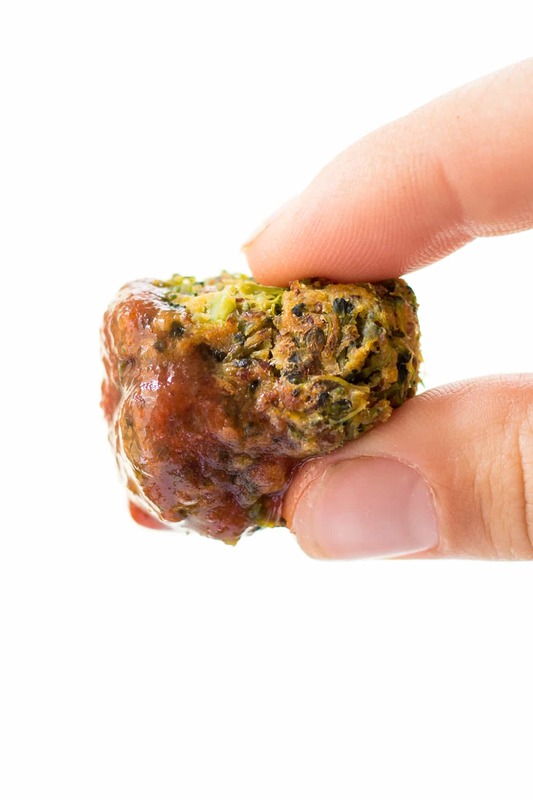 Reinventing tater tots and swapping the potato for broccoli? 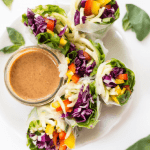 It should be a sin, or at the very least you might want to call me crazy, but friends this is one of those recipes that you just have to try. 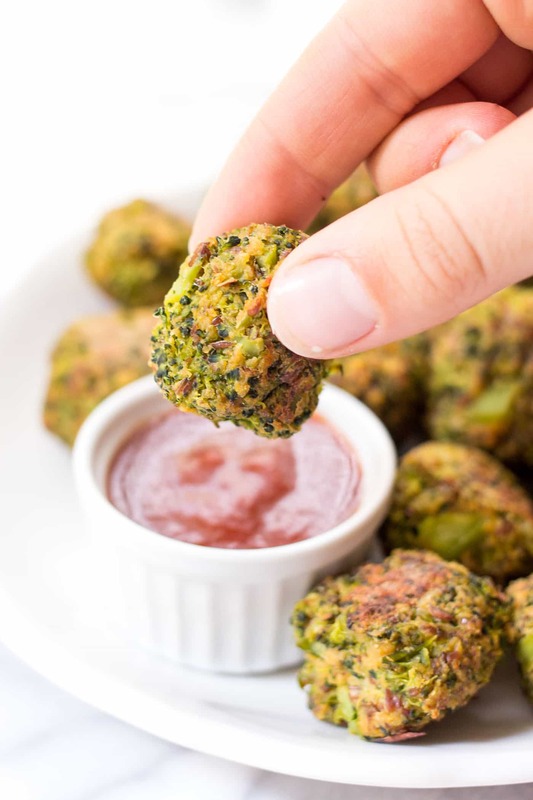 Because little bites of broccoli, coupled with the cheesy flavor of nutritional yeast, are combined to make even the most devoted tater tot lovers drool. And they get bonus points for being super simple to make and baked instead of fried. healthy. clean. vegan. gluten-free. perfect. 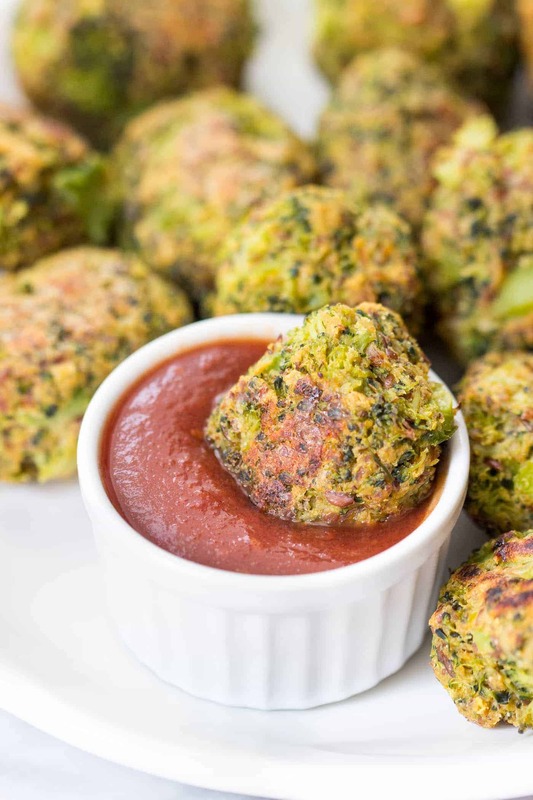 All you need are 7 simple ingredients to make these broccoli tots — the base being broccoli of course and for that classic cheesy flavor, nutritional yeast. To bind them together we're using a combination of flax eggs and hummus, plus a little quinoa flour for good measure. Then it's just garlic power and miso paste for flavor. 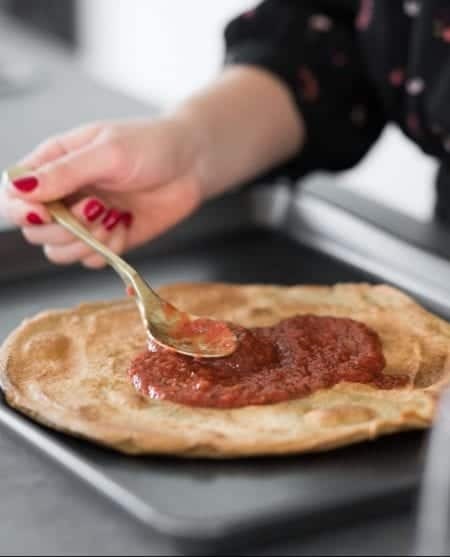 Once you've got your “dough” together, we simply shape them into tots, throw the on a parchment lined baking sheet and let them chill for about 30 minutes. The chilling is important because it helps them set. Without it, I think the tots would be a bit too mushy and wouldn't bake through. Then we just pop them in a hot oven and bake for 20 minutes and done. So easy and they make the perfect appetizer/snack. 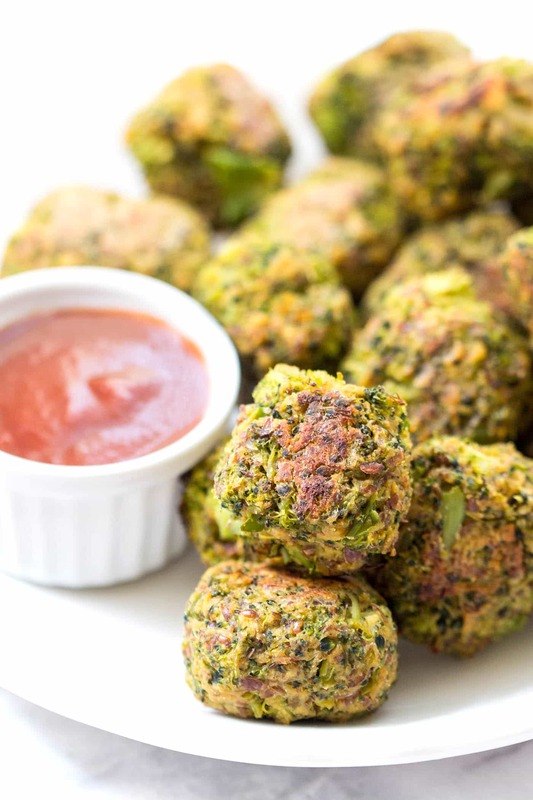 They're like little balls of broccoli cheddar bliss just without the cheddar. They taste amazing dipped in a spicy ketchup, but I'm thinking next go around they'd be perfect in some vegan caesar dressing. What a combination! This definitely gives broccoli a new place in my world. 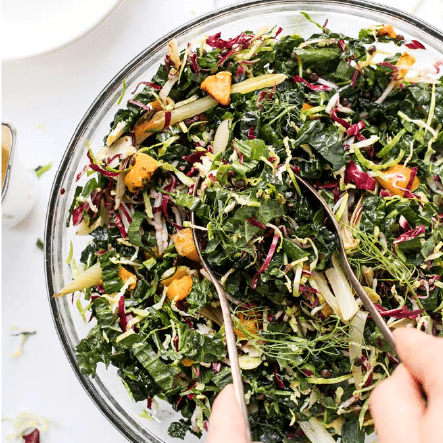 And if you've got picky eaters at home – kids, husbands or boyfriends – I can attest and say these are a winner. 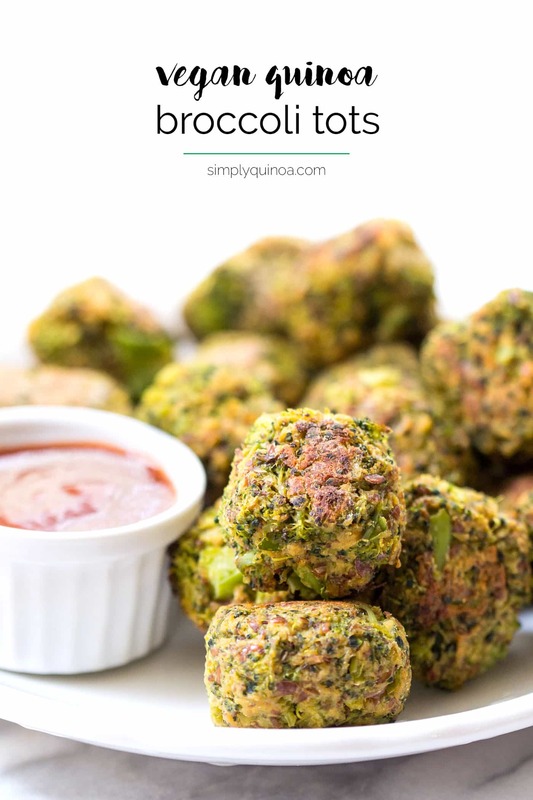 What do you think about these broccoli tots? 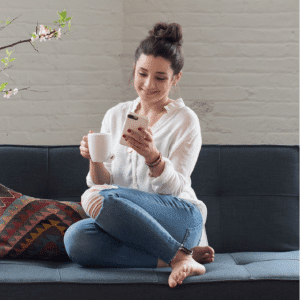 Does the concept scare you off? If you make them, how do you think you'll serve them? I'm already dreaming of my next batch and thinking I might try them with cauliflower and buffalo sauce. Let me know what you think in the comments below! Add broccoli to a steamer basket and steam until tender, about 5 minutes. 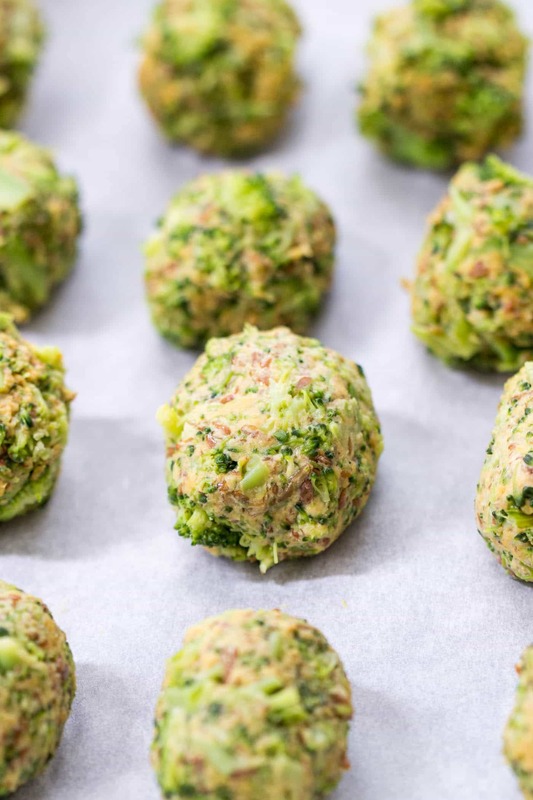 While broccoli is steaming, whisk together flaxseed meal and water and set aside. 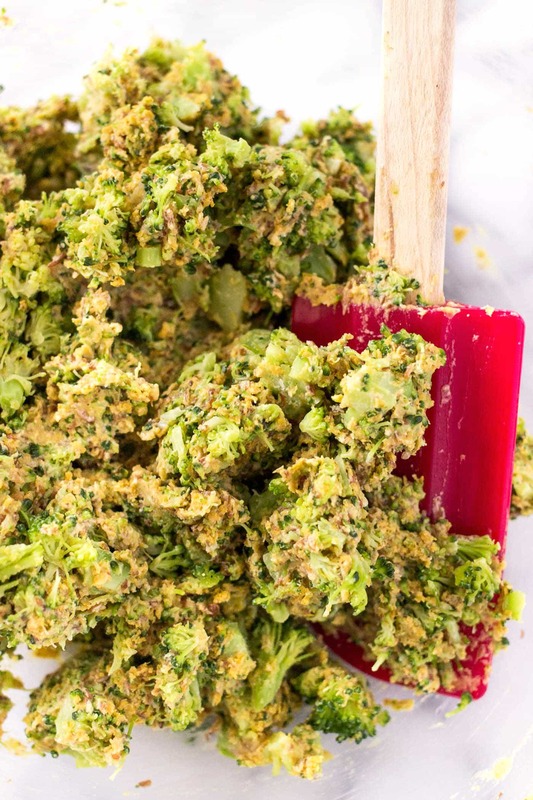 Allow broccoli to cool for 5 - 10 minutes and transfer to a cutting board and finely chop. Transfer to a large bowl. To the mixing bowl, add the remaining ingredients, including the flax eggs, and starting with 1 tablespoon of hummus. Stir together until it forms a dough. If the mixture seems a bit dry, add the other tablespoon of hummus. 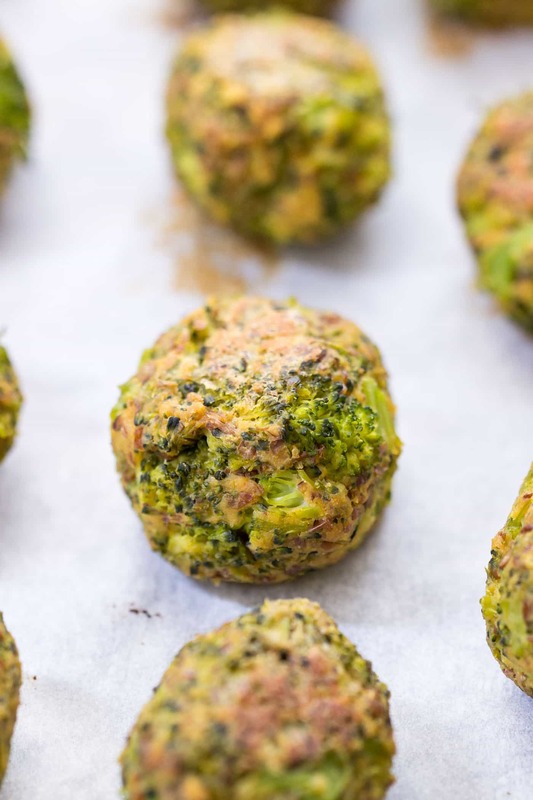 Line a baking sheet with parchment paper and form the dough into small balls or tots. Chill in the fridge for at least 30 minutes to chill. When ready to bake, preheat the oven to 400 degrees F. Bake for 18 - 20 minutes, flipping halfway through. 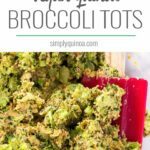 Allow tots to cool for 10 - 15 minutes before transferring to a plate and serving. Hi Alyssa, these look AMAZING! Would like to try this weekend, but my grocery has every type of flour BUT quinoa flour 🙁 …do you think almond flour or chickpea flour would work as a sub? If so, any idea which would be better? I think chickpea flour would be great! Thanks!! I will let you know how it turns out! 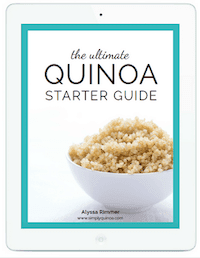 Made my own quinoa flour. $12.99 for a bag was crazy. Used my coffee grinder and some cooked Quinoa. Easy. Glad the homemade version worked! Hi Alyssa, is there any brand of miso paste that you recommend? Also, can you use eggs instead of flaxseed combination? Definitely can use eggs! The miso I buy most is from Miso Master and it’s organic, but there are a few other brands that are also good. I would just buy one that is organic and non-gmo if possible! i meant tahini as a replacement for hummus? I don’t have miso paste and don’t really want to buy some just for 1 recipe – can you suggest a substitute? These sound absolutely amazing! I wish I could leave work to go home and make them!!! Is there anything you would substitute the hummus with (for those times when I don’t happen to have hummus on hand)? Hope you give them a try! Replacing the hummus…hmm I’m not sure to be honest! I would say maybe you could try like pumpkin puree? Since it’s such a small amount I don’t think the flavor would impact it much.